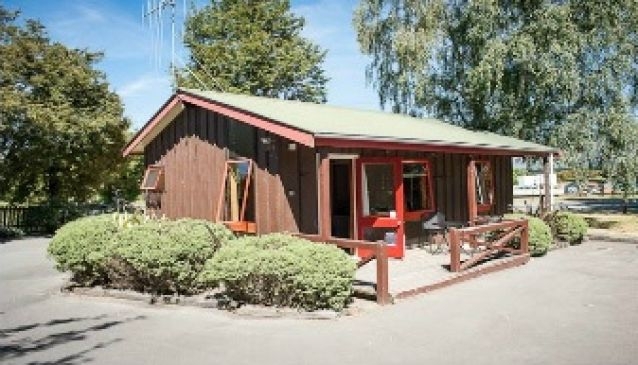 The TOP 10 holiday park at Hanmer Springs is located under two hour's drive north of Christchurch and nestled in the mountainous Alpine region of central South Island. The park boasts close proximity to Hanmer Springs Village itself, where the famous thermal spa pools and seemingly endless mountain biking and hiking trail starts have made it a traditional springboard location for outdoor sports enthusiasts of all types. The holiday park here offers a variety of accommodation, from motel rooms and powered caravan spots, to camp sites and self-catering cabin units, and comes equipped with dedicated BBQ spots and an adventure playground for the kids. Amongst the park's major attractions are the bucket-list-busting bungee jump from the nearby Waiau River Bridge and golf courses, mini, medium and large.